Isn’t interesting that in such dark times, (since the Twin Towers came down, perhaps,) my own editor and now Abrams Vice President, Sarah van More, could not defend a series of children’s books, starting with the novel coming this week, The Terror Time Spies, that were designed to help kids deal with a climate of fear? The actual value of a story was irrelevant, in their ‘defence’ of editorial power, that wrecked a career and removed a publisher too. I argued, as I had with a partner and ‘so-called’ friend, that a lot of it was about American consciousness these days, projecting fear, but also massive arrogance, and a quality of selfishness and lack of depth too, that some have called Ego Consciousness. ‘Our rights’, but no-one else’s, and engaging the full weight and threat of a system. That projection is understandable in a climate of world terror and conflict, wherever it comes from, but not for a second in a world of children’s and Young Adult books. Perhaps my anger was actually frightening, at times, but when a publisher is trying to publish a novel with ‘no contact with the author’, actually to mask the legal dispute that had developed, you really are in the realms of Kafka, or just plain tyranny and cruelty. In this case a business tyranny as bad as any other. Tara Break’s projected life fears were enormous, perhaps out of the darkness in her own strange family, and a terror of standing up too. But when a CEO, Mike Jacobson, threatens an author, fighting for their career out of so many personal betrayals, and on their own in London, with ‘issuing attorney’s notices in New York and London’, but also suggests that I had ‘some other motive’, as if I was some terrorist, then something very odd is going on. At one point I joked that that New York madness would involve delivering a literary manuscript in an armoured car! The abuse of power was later reflected by instructing an entire department not to read a blog, as a publisher denied dialogue on books already there. The whole thing, for a year of trying to work, was because Tara Break would not put away an accusation that was a complete distortion of the events that led up to her changing a number, and the reasons for them. That jaunt through the fields of publishing, writing, true love or friendship cost me everything, and her publisher Howard Reeves his job too, but then she was hand in glove with my editor, Sarah Van More. 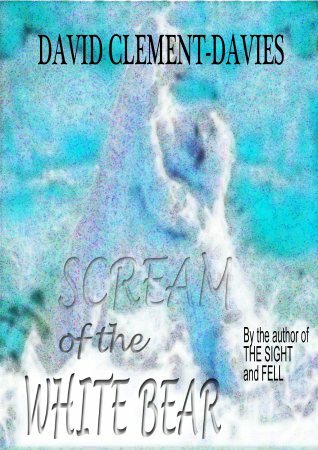 Who, in her own collapsing life relationships, not only chose to ‘defend’ Tara Break, but invade her own author, breach his trusts to another publisher, Sharyn Novembre at Penguin, and apply no decent or equitable principle, in her scramble for power. The question remains of who the mystery man was, in the mix, who never had the guts to stand up to this supposed bully, and if he actually works at Abrams too. But the real ‘Terrorism’ was the ferocious and ultimately cynical politics inside Abrams. It was how they both judged and accused without allowing any kind of proper hearing too. How they abused the principles of authorial respect, proper working conditions, emotional safety, freedom of speech, and honest dialogue too, to serve Tara Break’s interests entirely. Why exactly do they publish anything – for the money and their careers alone? In the end I couldn’t take their devil’s pact of silence for success, as they disrespected all their contracts too, so I walked away. Let’s hope, in taking so much poison out, and now publishing one of those three novels too, we can sweep away the awfulness and rebuild. But if an American CEO can try to lie about the real issues to the US Author’s Guild as well, and promote Sarah Van More over Harold Roves, then under his leadership Abrams are a publisher that cares about nothing, and America will make its world reputation worse and worse. America is a free country, a great democracy, at root, and I once thought Abrams an extremely fine publisher, but If you think it’s an unimportant story because it is ‘only’ about books, or one person’s livelihood, imagine what could happen if innocence or personal freedom were involved? It does happen, in ‘real’ life, and in often frightening America. 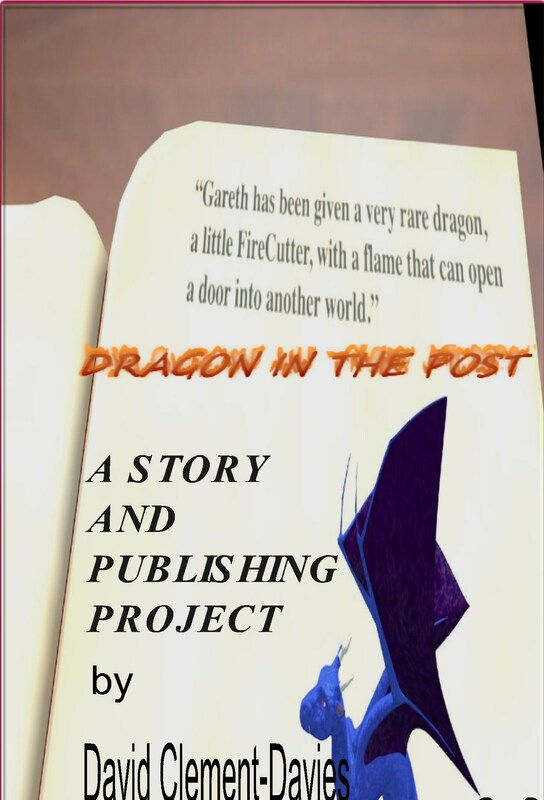 Along with The Edmund Shakespeare Blog, Phoenix Ark Press are now delighted to introduce ‘The Blogging Blog’. It will involve tips about publishing, encouragements and warnings to writers about blogging itself, discussions of any real cultural value, or whether Sir Tim Berners Lee’s Internet, so highlighted at The London Olympics by Danny Boyle, actually connects or disconnects. Hopefully it can be a valuable forum about writing, blogging, journalism and voices on the Net, but that depends crucially on you the reader too, so bloggers experiences and insights are much encouraged. We will give away some of the experiences and thrills and spills of Phoenix Ark’s publishing venture too. 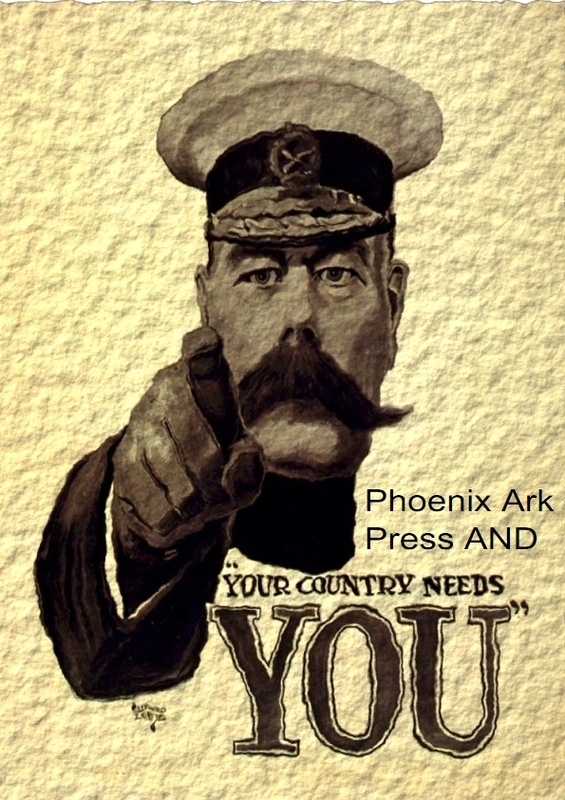 PHOENIX ARK PRESS AND PUBLISHING AT THE PUSH OF A BUTTON! In a few days time Phoenix Ark are proud to publish The Terror Time Spies by David Clement-Davies. Based loosely on the exploits of The Scarlet Pimpernel, by Baroness Orczy, during the French Revolution, it sends a daring band of youngsters to Paris, to confront Terror everywhere. Though intended as the first in a much lighter, entertaining series, it was the book that Sarah Van More had had for nearly two years at Abrams, and would have taken an absurd four years to publish, since signing a contract, if that battle had not happened. There we are. In the ‘good ol’ days, its publication would have meant lovely things like proper editorial support and dialogue, proof copies, interviews and author’s copies, arriving in brown cardboard boxes, to grace a private bookshelf. The stuff of real life books, that are things and characters in themselves too, not to mention becoming a record of others’ reading joys and histories. All part of those enormously special and intimate things to any author though, made far more intimate by a two year relationship with an Abrams editor, Tara Break, and by a ten year editorial relationship with her colleague. Which was once a source of joy and pride, made all the more tragic in the weird atmosphere of an American firm, of not even being ‘allowed’ to mention it, as if some crime had been committed. But so Phoenix Ark Press was born, and now, because at present they are only to eBook, publishing means, beyond the work of course – creative, editorial and the wonderful cover too, designed by Seb and Julia – the literal press of a button. 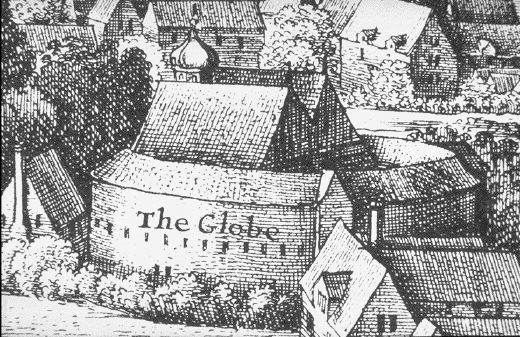 The Internet has revolutionised publishing in a way perhaps only comparable to Shakespeare’s day, over four hundred years ago, viz-viz other work here, the creation of The Stationer’s Register in London, that closed only so recently, developing copyright law itself, and, in a sense, the creation of the very idea of ‘the author’. There are many bad things in it, on the Internet too, but many good, like people who did not read hugely, suddenly saying their Kindles or readers had opened entire worlds, and at least it has kept Phoenix Ark alive as a creative voice. It’s massive downside is Amazon’s proud trumpeting of the fact that Borders has declared bankruptcy and the pumping out of work that perhaps should not see the light of day. Perhaps publishing was always rather ruthless, battles of books deeply personal too, and nothing ensures a work’s surival. Perhaps the only thing that really matters is not how we read, but the quality of the stories we are reading, although physical books will never die and we must be very wary indeed of breaking vital human connections. The Terror Time Spies coming soon. AN AMERICAN SENSE OF HISTORY? I’m a bit worried that anything I say about the US might be tinged with events in New York three years ago! However, looking into the subject of ‘Spatial Humanities’ recently and a NY Times article on Gettysburg, The Salem Witch Hunts and the modelling of events, temporally and spatially, does remind me of the tours I did in American schools. It worried me that in many schools there History is not taught on its own, but as a ‘Social Science’. It rather begs the question of what History is ‘for’. I realise that in the UK there has always been a cultural split between the ‘geeky’ scientists and the ‘poetic’ Historians. I actually love science as much as history, and on one level Spatial Humanities is attempting to unite all disciplines, and especially the ‘two languages’ we carry in the world, that I’ve talked about elsewhere. The problem for me is that somehow history must be an art, not a science at all, so be about listening to the mind and sensibilities of historians talking about the past, for no other purpose than deepening the human dialogue and creating cultural depth. So to teach History instead as Social Science presupposes some kind of ‘Telos’, some unfolding purpose, just as the Marxist Historians argued for, or much like some of the voices that come out of Right Wing America, arguing that the US is the freest and greatest Nation ever, or that we must somehow all stop dead at the 11 O’clock school bell and swear allegiance to the flag. To us that is a kind of cultural brainwashing, and you might speak of the facts that came up last night on a repeat of the Quiz show QI, saying that America locks up one in a hundred of its citizens, on the ‘3 Strikes and You’re Out’ model, more than any Nation on eath, ever. The figures for young blacks in prison now are even more frightening. In one sense though, History, and the study of cultures, should have no obvious purpose at all, but like literature, be a chance to explore greater truths across time, and imaginatively examine, for good and bad, the entire human condition. Since I clearly can’t resist a bit of New Yorker bashing, the depth of sensibility and awareness I met from my own partner, and then at my own American publisher too, was astoundingly limited. Almost instantly, and from my own editor of ten years, it became about ‘sides’, ‘You’ and ‘Us’, like re-fighting the Alamo when I was supposed to be in partnership with a firm, to create. A very onesided partnership because of all the money they generate elsewhere, and when another very personal partnership had been so harmed along side it. Some people call it ‘Ego Consciousness’, brilliant at arguing for individual ‘rights’, and snap decisions, or being shocked by something out of the mould, but terrible at seeing a bigger and truly human picture, warts and all. Terrible when you find that at the heart of a prominent publisher.